This month could be hot and dry, so you might need to maintain watering, but if the opposite happens then you will need to protect from over watering with rain. If you need to fertilise still then this needs to be done with a liquid feed so that this is quickly absorbed as solid feeds could take a few weeks to break down. Use mainly potash or phosphorus fertilisers with little nitrogen which, along with carefully watering will greatly enhance the autumn colours. 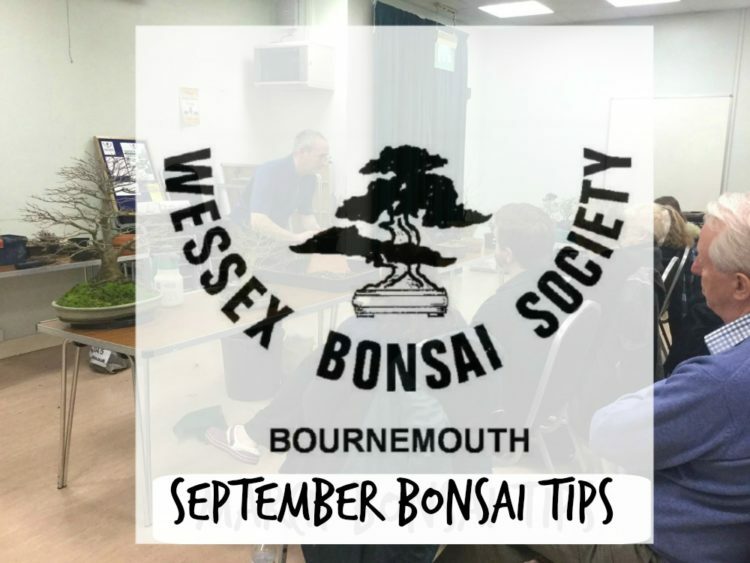 Early flowering bonsai will benefit from repotting new into a larger pot along with quince and pomegranate, add extra soil so as not to disturb the roots nor should you root prune, as this will encourage flowering in the spring. Its possible to revert back to a smaller pot when flowering has finished as you can then root prune after flowering but not before. Now’s the time to keep an open eye for insects looking for their winter quarters. Trees, especially deciduous, wired in the spring should now be set and the wires can be removed, if still movement, then rewire, if you do not remove now you could end up with wire marks on the branches. 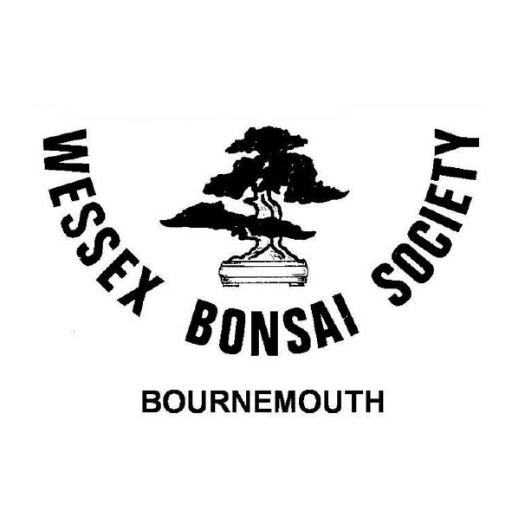 This months meetings are Tuesday 11th September 7:30pm with Bill Baker & Roy Weatherall – Yews. 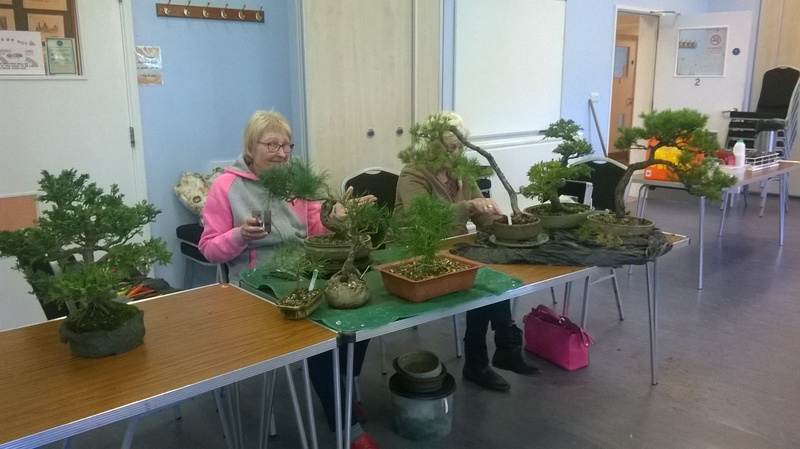 Our Sunday Workshop is 23rdSeptember 2017 9am – 1pm. For further details, information and membership enquiries please contact our Chair Julie Collins.